Welcome to my Tangled Web! I’m pleased to share with you that I’m a blogger for the Huffington Post! Here’s the link to where you can find my posts. I began blogging here in August 2010. It was a scary but exciting proposition then. It’s still exciting, and the only frightening thing is, perhaps, the fear of running out of things to say. So far, so good. And here’s the icing on the cake: In the three years I’ve been blogging, I’ve been Freshly Pressed FOUR times! Here are the links to my FP’d posts: On Notice, The Fake Family Tree, Broken Hearts & The Road Not Taken, and The Race is On. Fourth time is the charm, right? Honestly, how much joy can a girl take? The honors continued when, I received The Versatile Blogger Award. (Thanks, Writingfeemail’s Blog!) 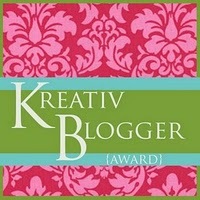 Then, I was the proud recipient of the Kreativ Blogger Award! You can read all about it and find out who I in turn bestowed the award upon, in my post, London Actress Picks Me! Since then, I’ve been honored with four more awards: the No Hoops, two more Versatile Blogger Awards, and the Irresistibly Sweet Blog Awards. I’m a baby boomer so I’m sure you can guess at my age—somewhere between 50 and one foot in the grave. And no, I am not over the hill yet, if that’s what you’re thinking. I’m divorced, the mother of two very grown children (the younger just graduated from college!). A former New Yorker with an East Coast attitude living in THE most laid-back city ever, San Diego–and loving it! I love getting my Broadway fill by seeing shows at the La Jolla Playhouse and Old Globe theater and, if I hear of a play bound for Broadway, believe me, I’m there. I also enjoy dancing, especially tap dancing. and Zumba. If you ever see someone tap dancing in a long line at the bank or grocery story, that’s probably me. And if you’re still curious about me, please read my post, 10 Things You Don’t Know About Me. Yes, I love my life, on my own, single, with a very handsome, happy fella, who is 100% mine: Henry, my Cavalier King Charles Spaniel. I’ve been living by these words all my life. For me, writing is the art of deception–exaggerating truths, reconstructing memories and filling in the blanks. Embellishing to make a point! As a kid growing up in Queens, I loved telling tall tales, stretching the truth. I think I was good at it because people believed me. It’s probably why I always wanted to be a writer. It’s fun. So, welcome to my life, my observations, and my stories. Welcome to my Tangled Web! Feel free to contact me at monicastangledweb@gmail.com. This is amazing!!! I love your blog and I am tres impressed (and only mildly jealous) of all your writing achievements. I’m lucky if my dad reads my blog! Definitely will be following you – look forward to more posts! Thank you so much Sophie, but don’t be too impressed. I haven’t done the ultimate thing every writer wants to do, which is to get published. My problem is I don’t have the wherewithal or perseverance to get it done. I love blogging though, and posting everyday for a month takes a lot of perseverance, if you ask me. But I do appreciate your kind words and you’ve certainly brought a smile to my face. I love comments from my readers and I love love love new followers! So, welcome to my Tangled Web! Hi. Great website! Keep it up! I love “Generation Anthem.” (Comments were closed.) Great blog. “Freshly Pressed” is a mystery to me. Hi Catherine, I’m so glad you found my Boom Anthem and my blog, too. The anthem poem was very emotional for me to write and literally poured out of me late one night. Such inspiration doesn’t haven’t often to me, I will say that. Anyway, I still don’t understand how Freshly Pressed works but it’s quite a thrill when it happens to you. It’s such an honor. Hi Monica – A pleasure to meet you here! And congratulations for being featured on Freshly Pressed four times! You obviously have a secret sauce. I have no idea what it takes to be featured there. I do look forward to visiting your blog again. It’s been a long time since I last was Freshly Pressed. Don’t know how it works but it’s exciting when it happens. Thanks so much for reading! Hi Monica, thanks for the alert, re: posting comments to my blog. I’ve checked all my settings and it all appears to be in order. The only thing I can think of is that sometimes while we write something on the “Leave a Reply” option, the “Post Comment” icon seems to disappear. I think it is a timing issue. I’ve come across this on other posts many when I’ve tried to leave a comment. When I saw there was no “Post Comment” icon visible, firstly, I would simply highlight my comment, copy it, then I’d refresh the page I was on, and go down to the “Leave a Reply” field, and note if the “Post Comment” was visible, and if it was I would paste in my reply, and bingo, it worked! Should you encounter this problem, please try again, by refreshing the page and then typing in your comment. Thanks again for alerting me! Check it out. I was able to leave you a comment this time. Yay! Hi! I’ve nominated you for the Versatile Blogger Award! Have a lovely day! Congrats to you, fourth time freshly pressed blogger! I found your blog via freshly pressed. Appreciate your thought provoking posts. Your blog is also the first one I found using a similar theme that I used for my food blog. It is like finding a good neighbor! I will definitely vote! Thanks for sharing your stories, your sentiments and your viewpoints. Howdy Neighbor! Welcome to my blog! I suppose you’ll want to be borrowing a cup of sugar for your food blog, eh. No problem, for you’ve come to the right place. Happy to help a neighbor. After all, we have similar tastes! Thanks for stopping by! Carl, tell Monica to: go to Archives and select June 2011 – scroll to bottom of list and click “older entries” – second post is Fatherisms. Just wanted to let you know I’ve nominated you for the Sunshine Award. Congratulations! Swing by my blog to check it out. Woot! Woot! Oh my goodness! What a treat! I just love sunshine, so a Sunshine Award is perfect! Thank you for the honor! HI! I found you by way of “the good greatsby”..So glad that I did! I look forward to following you…so awesome that you write for the Huffington Post…awesome! You have been tagged – http://dogdaz.com/2012/03/01/3-1-12-tag-youre-it/#comment-987 Have fun! I just adore surprises! Thank you so much for mine! Thank you so much for stopping by! Isn’t Mikalee wonderful? And so supportive, too! I’m well into my 50’s and can tell you, this is a great age. I can now say I’m truly empowered and have found inner strength. Best of all, I went back to my roots, of sorts, and rediscovered my love of writing. It’s wonderful when you find your passion and it took me years, but I think I finally did find it. I look forward to getting to know you through your blog. I’m not sure whether I subscribe, but I shall. Tangled people interest me. I have a feeling you have lots to say!!! 🙂 see you in cyber. Congratulations, Monica! 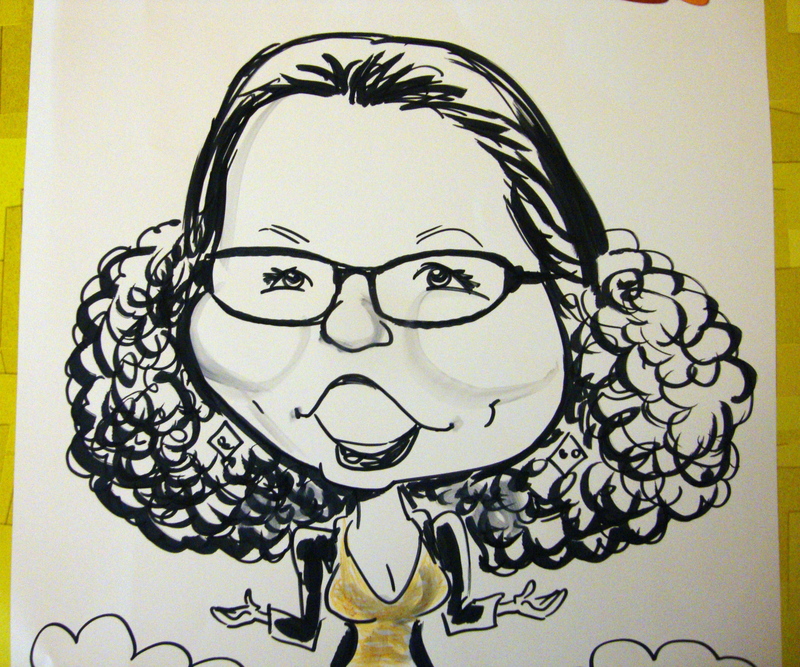 I’m pleased to report that you’ve just received The Irresistibly Sweet Blogger Award! You’re receiving this award because I really enjoy your wonderful writing. To accept your award, go to http://howcanicomplain.wordpress.com/. I know all of us on here have very busy lives, so please feel no obligation to participate. If you do have time, pass the award on to seven bloggers that you deem worthy. Announce the winners in a post and include seven random facts about yourself. Boomer here as well. Congrats. on being Pressed twice! I haven’t had the honour, but for another blog of mine (I created and manage 3 blogs plus am guest writer for 4th one.) it got Ecopressed twice. Thank you for your well wishes, but as of today, I’ve been freshly pressed 3 times!! I’m thrilled to pieces! I’ve only started reading you recently but you’ve already made me laugh so hard I’ve subscribed to your blog and added you to the blogroll on my blog (so all 8 of my followers can read you). And while it may not be PC to say this I’m thrilled at your age and the fact that children (having them, raising them, photographing them) are not the focus of your blog. Finding like minded blogs is not easy! Thank you, Catherine for your kind words. What an honor, being added to your blogroll. And THANK YOU for not being PC! When I started this blog, almost a year ago, I decided from the get go, this would not be that kind of blog. I look forward to exploring yours, too. But trust me, fear of the empty nest is overated. There’s a conspiracy afoot that we should dread the empty nest, but turns out, it’s like a new beginning. A new lease on life. Think of it as being foot loose and fancy free! That said, my empty nest lasted a whole year and a half. At which time, my eldest moved back and he’s going to be staying with me for a few months. At which time, I’ll again be writing all about how happy I am with my empty nest, and my Cavalier King Charles Spaniel, Henry. Thank you, thank you for subscribing! Glad you’re enjoying my blog. Hi Monica, thought I’d stop by to say thanks for stopping by my blog. Love this entry. How exciting!! Can’t wait to find out what type of case you land. I’m celebrating my one year “blogiversary” today…in honour of it, I’m adding some new folks to my blogroll. Is it okay to add you to “She Said”? Thanks! great picture!!! and do your kids read your blog??? my brother is up to date on mine lol. Yep, my kids know. My daughter subscribes, but my son never reads it. I could write that he’s a green martian who believes in the tooth fairy, and he’d never know. If I started writing about basketball and football, maybe he’d change his mind. Great blog you’ve made here. I’m just snooping around wordpress today and I found yours. Have a great weekend. As you can see, I love that quote. I remember my 8th grade English teacher reciting it for us. That’s when I first heard it. Powerful words. Food for thought. I’ve been under their spell ever since. Oh what a tangled web, indeed! Thank you for snooping around. Delighted you discovered my blog! I love your picture and I love your blogs!! What a fine storyteller you are! I thoroughly enjoyed the read. Thank you! And thank you for visiting my blog! It’s so exciting to be Freshly Pressed again. Monica, I so love your story! I too am a baby boomer and new to blogging as of today. I’m honored that it is your story I found, read, and enjoyed first. Please visit my site, as I am sure we will have similar experiences to share. Welcome to the wonderful world of blogging. I have found my bliss and I’m sure you will too. I look forward to learning about your experiences. I have a Cavalier King Charles Spaniel, too! My little guy is 8 years old now and his name is Chester. Aren’t Cavs the best?! I’m glad to have found your tangled web! Great blog! For some reason your comment ended up in my spam and I just discovered it. Thank you for your sweet words. I so appreciate you visiting my blog. I never knew you were such a good writer. I never did believe a word you say but now I may take you more seriously. All grown up with your own blog! You go, Girl! Congratulations Monica on getting this started. I look forward to reading more. I love it! Off to a great start. Already interesting, witty,great photo choice. This is going to be a blast!!!!!!! BTW I will never again believe a word you say.